We went to a pick-your-own farm in North London last weekend and brought back our bounty of fruit and vegetables. I don't think I've ever eaten strawberries that were so juicy and sweet and oh what pleasure just plucking them off the plant and popping them into your mouth. Yeah yeah I didn't wash it or wipe it or anything, just ate them with all the gusto I could muster on that hot summer day. 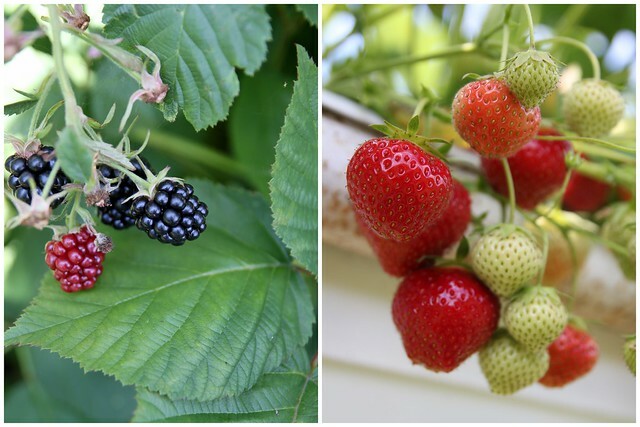 The 10 acres of land was filled with fruits and veggies of all sorts- from blackberries, to raspberries to beetroot to courgettes- I had a tough time deciding what I wanted to bring back. Ro who, till now, was of the opinion that strawberries were so over rated, succumbed to the stereotype and decided strawberries and cream were most certainly heavenly. I had major plans of making strawberry this and strawberry that, but at the rate its going I don't think I'll have any left to make my planned desserts, instead we have just been devouring them with whipped cream. Yummville! I had picked up some swiss chard as well and honestly it was the after effect of an article I wrote recently about growing swiss chard and since then I have been curious. I knew it was part of the spinach family, but hoped it wasn't like the radish greens I recently cooked which was quite bitter. Maybe it was a mistake I did, but I don't think I will be trying that out again. Initial plan was to make a gratin with the chard, but then slight miscalculations and a whole day spent on a debate with my friends on fb, with bits and pieces of writing thrown in between meant I had very little time to prepare dinner. So I decided to incorporate the chard into a dal preparation. Thanks to the pressure cooker, frozen chapathis and the last stash of chicken cutlets, dinner was ready in no time. The downside however was that I missed out on the lighting bit and hence the dark, shadowy pics. Well, you gain some, you lose some right? So anyways, I made the dal and it turned out good. The chard tastes very similar to spinach, just that I thought it didn't wilt as much as the spinach and so there was enough greens floating around in my lentil curry. I am hoping to use up the other veggies I picked up asap and as time permits will blog about it too. Throw in the dals (washed), turmeric powder, swiss chard and salt along with water into the pressure cooker, give it a good stir and cook on medium heat for about 3 whistles. Release the pressure and keep aside. Meanwhile, heat oil in frying pan and add the cumin seeds. Once it sizzles, add the onions and garlic paste and wait for it to cook and wilt a bit. Add all the powders- chilli, coriander, asafoetida and fenugreek- and saute well. Cook till the raw smell disappears. Do a taste test and add more salt, spice as per requirement and bring to a boil. Add a dash of lemon juice and sprinkle some garam masala on top, give a final stir and take it off the flame. Pour into individual containers and serve as soup or as a side to rice or roti. Notes: Add chickpeas (garbanzo) to this and it can be converted to a stew on a cold winters night. 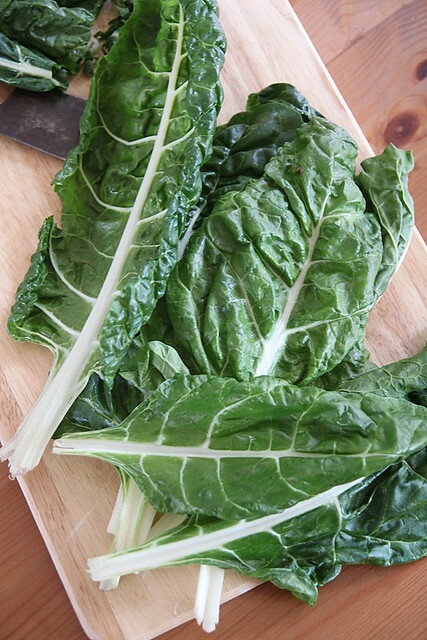 Replace chard with spinach and you have palak dal. 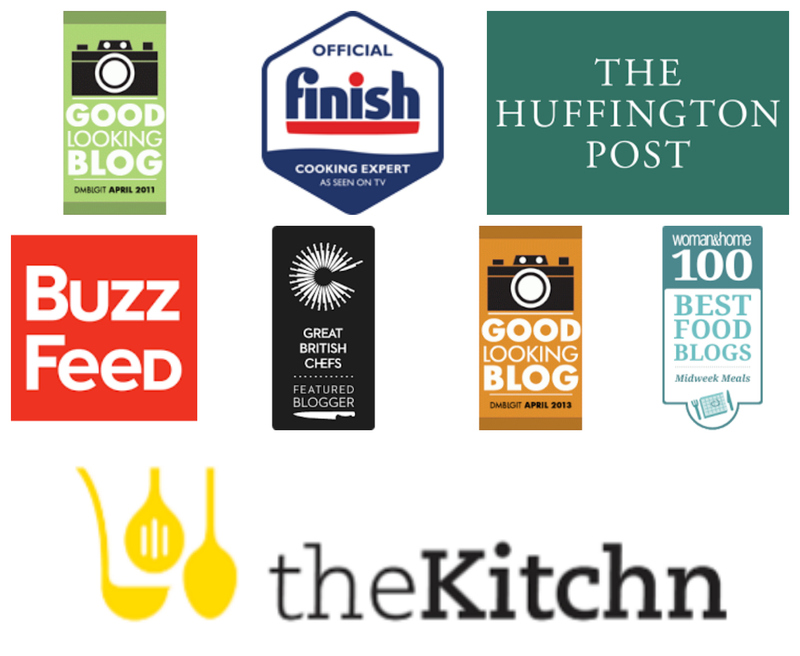 You can do the above prep with any dal of choice. Freeze it once it cools down and trust me it will be a blessing on a day you don't want to cook. Real comfort food, very delicious. honest and fresh . i love reading ur posts. I would have been fanatic too in the farm not knowing wat to pick and wat not...good that you had so much of luscious fun!! never tried swiss chard, should give it a go...you 3rd pic in darkness and dark bg which i'm love gives a very sp mood! 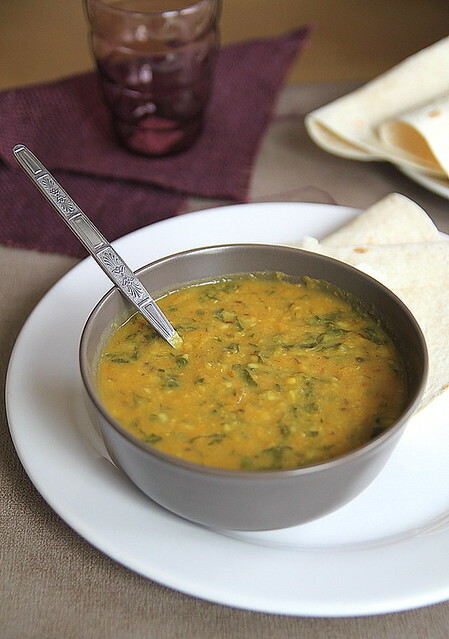 Healthy dal and love to have with steamed rice and papads !! love those clicks of juicy ripe berries...the dal looks lovely. 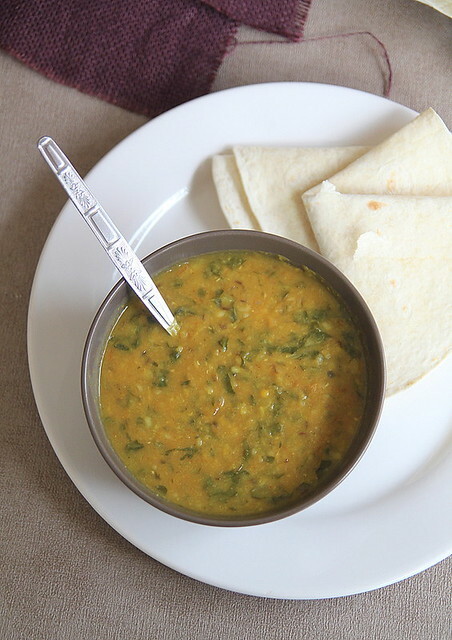 Healthy, delicious and comforting dal. Excellent clicks. never tried, new to me looks delicious!! I would have gone crazy too looking at all those juicy, sweet strawberries!! And this dal looks so comforting & healthy!! Swiss Chard is quite good for thoran too. especially the one which we make with egg. I think your writing is beautiful .. formal or informal :) I have been dying to experience berry picking but it's just not happening.. i really have to do that before we are back to Fall. That looks delicious! I love dal and I always need ways to use up swiss chard. I also really love your pictures of those berries - so beautiful! That looks perfect comfort meal. your writing is perfect. 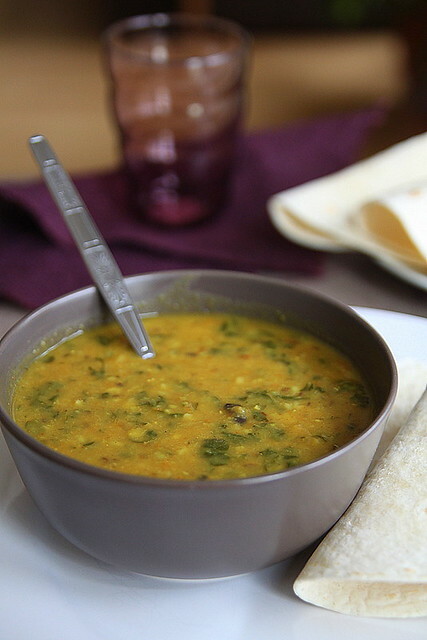 Healthy and delicious dal..Tempting clicks Nisha..
Hey Nisha, love this recipe! Where is the PYO Farm in North London? I live in North London but didn't know there was one around here! Very excited to head over there as my chard isn't big enough for cooking with yet and I'd love to try this recipe. Dal looks wonderful. perfect for rotis. This looks delicious and yummy ! for some really weird reason unknown to me, I thought swiss chard was some kind of cheese!!! thanks for the enlightenment.. i love adding green leafy veggies to dals, chapatis etc (easier to sneak it into my kid's diet).. ur dish looks so wholesome and yummy!